In Canada there are nearly as many descendants of Scots as there are people living in Scotland; almost 5 million Canadians ticked the "Scottish origin" box in the most recent Canadian Census. Many Scottish families have friends or relatives in Canada. Who left Scotland? Why did they leave? What did they do when they got there? What was their impact on the developing nation? Thousands of Scots were forced from their homeland, while others chose to leave, seeking a better life. As individuals, families and communities, they braved the wild Atlantic Ocean, many crossing in cramped under-rationed ships, unprepared for the fierce Canadian winter. And yet Scots went on to lay railroads, found banks and exploit the fur trade, and helped form the political infrastructure of modern day Canada. 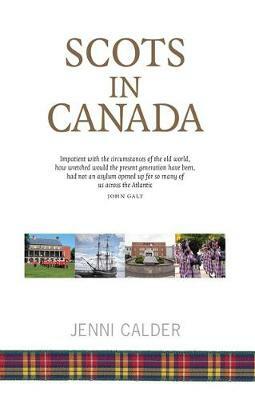 This book follows the pioneers west from Nova Scotia to the prairie frontier and on to the Pacific coast. It examines the reasons why so many Scots left their land and families. The legacy of centuries of trade and communication still binds the two countries, and Scottish Canadians keep alive the traditions that crossed the Atlantic with their ancestors.